Inserts have the ability to quickly and inexpensively deliver advertisements into the hands of potential customers. 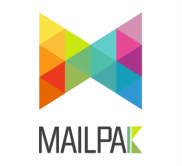 MailPak has the expertise to plan and implement insert campaigns which take experience and attention to detail. With our vast distributor network we can have your insert delivered to the doorsteps of homes in every major market in the country! • Shared postage cost with other advertisers. • Advertisements will be seen by customers who anticipate their package. • You can pick a program based upon consumer buying behavior. • Advertisement will be associated with print material that is already established and well-loved among consumers. Poly-Wrapped Packages - freestanding advertising pieces placed inside the plastic wrapper of a magazine or catalog. Newspaper Inserts- free standing advertising pieces placed inside the pages of a newspaper.